A popular look for french knitters are these "knitting dolls." Some call it French knitting while others call it spool knitting. 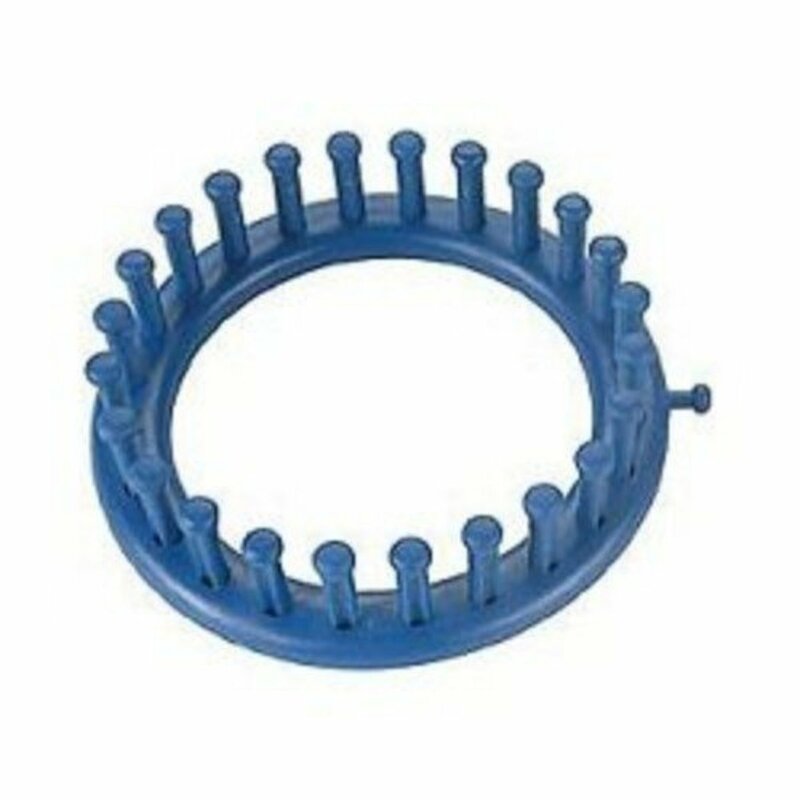 And the simple tool used has been called a French knitter, a knitting nancy, knitting spool, knitting knob, a corker and dozens of other names as well. In Germany it may be known as a strickliesel or as a tricotin in France. (A comprehensive list of names can be found at the Spool Knitter Blog...which is also probably the best resource on the Internet about spool knitting). But whatever you call it, this little device, used and played with by many generations in the past has made a comeback and children and adults are rediscovering its fun and practical uses. You may be wondering, what is a french knitter or knitting spool or any of the other names I've listed? 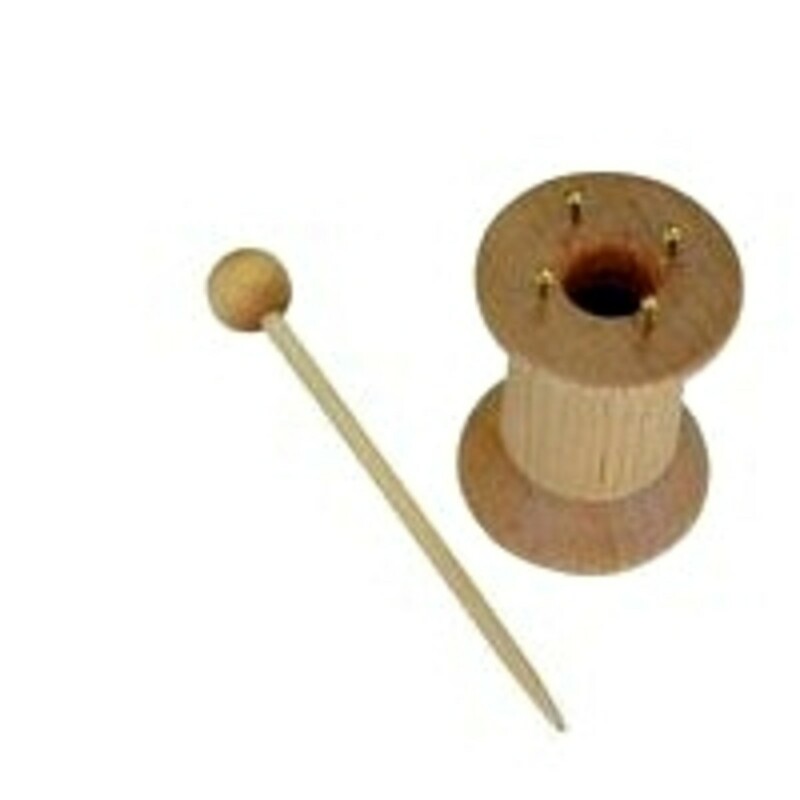 Well, a basic knitting spool consists of an object with a hole in the center and pegs placed around that center hole. For example, old wooden spools with nails placed around the center hole were once a commonly made into knitting spools. You can use a knitting spool to knit cords of yarn, by wrapping the pegs with yarn to form loops and using a tool to lift the loops on the bottom of the pegs over top loops. These cords (sometimes called i-cords) can then be used to make embellishments, ties, handles, and so forth for knitting projects. Or make small little toy animals, coasters, or even rugs. Modern spool knitters also use flexible wire and adding beads to create jewelry with knitting spools. Knitting spools have similarities to a knitting loom, but are smaller and typically have only four pegs, although they may have a few more or even just two or three pegs. Knitting spools also often come in many shapes and sizes. Including whimsical designs such as people, animals, mushrooms and more. The flickr group, Spool Knitting, has hundreds of examples of knitting spools. Children enjoy spool knitting because of its simplicity. In fact, some children can spend hours on end making ropes of spool knit yarn. Spool knitting is a great way to introduce children to knitting looms or even regular knitting. Or simply a fun way to entertain them on a rainy afternoon. To learn more about spool knitting check out the links below, which includes information on how to make knitting spools and how to use them. 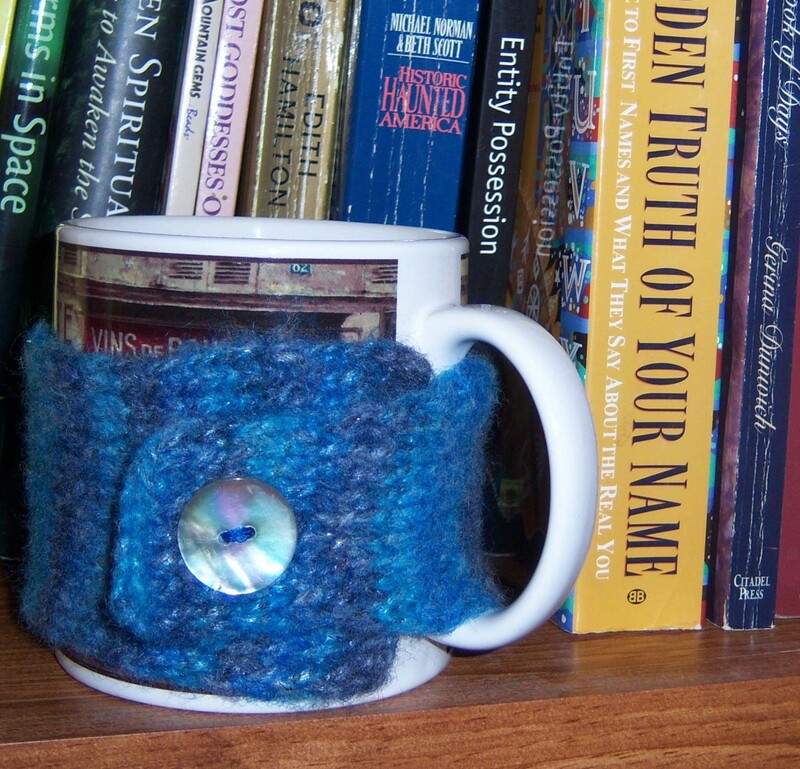 This tutorial tells how to make spiral coasters with a knitting knobby. It includes the basics of using a knitting spool. 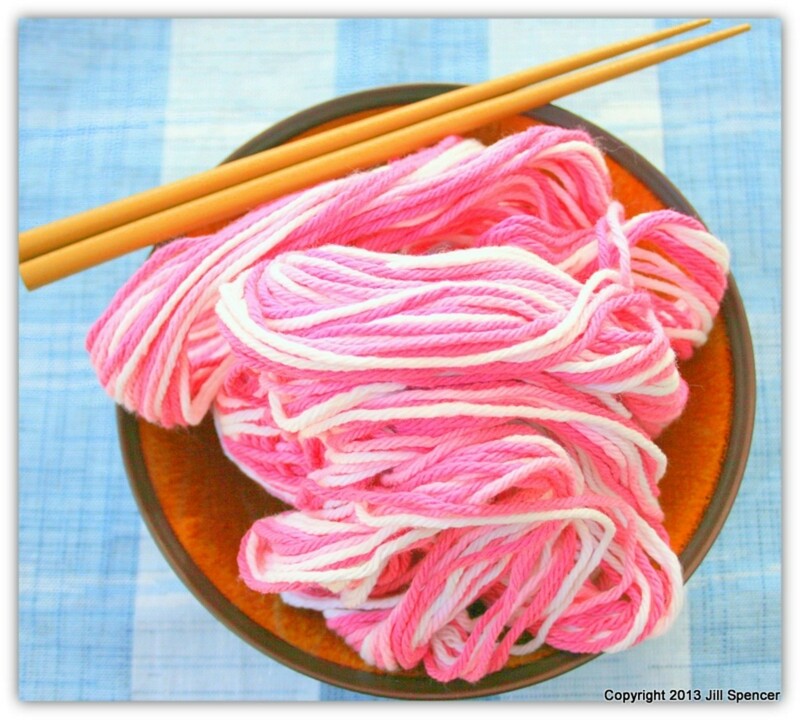 Three, fun and quick, spool knitting projects. A flower pin/brooch, a bracelet and a pen cozy. 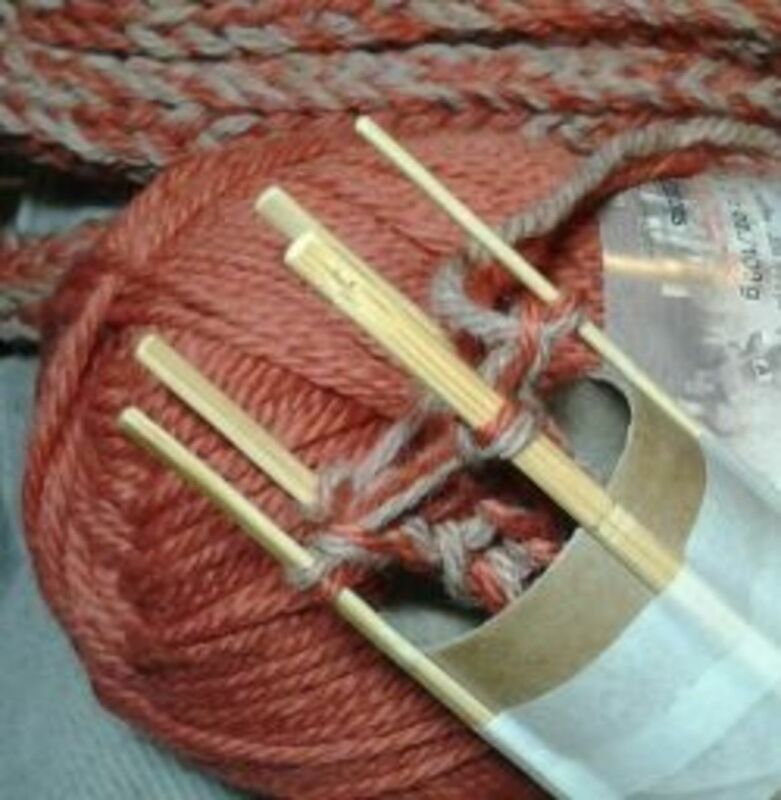 A tutorial that is good example of combining a knitting loom to create a little "purse" for a cell phone and a knitting spool to create the strap or handle. A tutorial showing how a knitting spool can be used to knit wire. Clicking this link will open a PDF file for making a medallion style necklace out of cords made with a knitting spool. 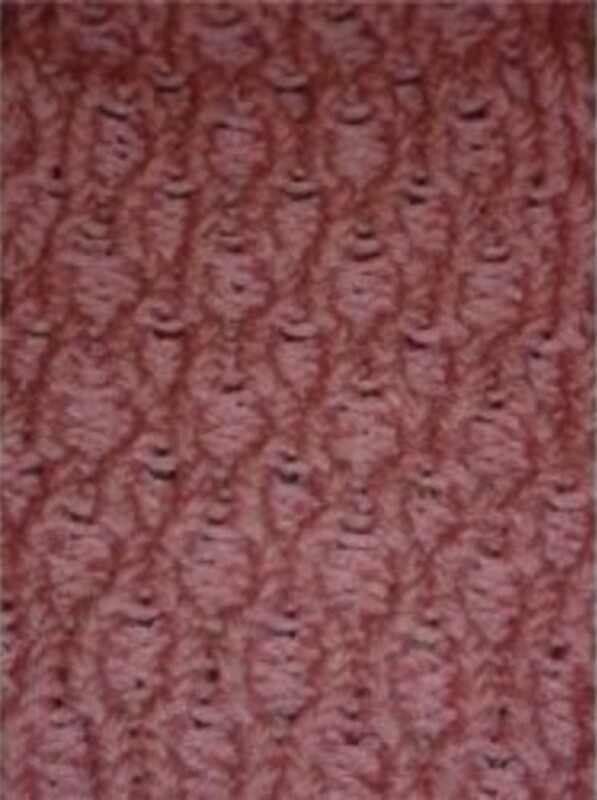 This pattern is for advanced users. This page has both a written tutorial and a video showing how a simple knitting spool can be made from a toilet paper tube and popsicle sticks. This is a great project to do with kids. Create your own repurposed Knitting Nancy from a wooden thread spool. This knitting knobby is very rustic with a woodland feel as it is made from a small branch (or log as it says in the article) that is approximately two inches in diameter. This small strickliesel was made from a pen and some U staples. Although it does not provide specific directions, this provides inspiration and the general idea of how to make spool knitters out of wood salt and pepper shakers. A great book for kids (or other beginners) to corking (spool knitting). 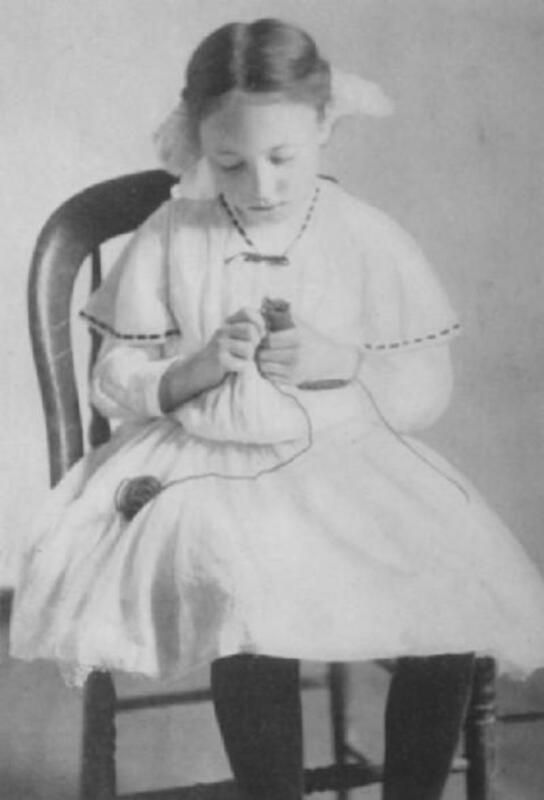 The book Spool Knitting by Mary A. McCormack was originally published in 1909 and is now in the public domain (meaning it has no copyright on it). Because of this it is available a few places online for free. The Gutenberg Project is one place you can get a copy of this Spool Knitting book. They have it in several formats including HTML (used for webpages) and even for Kindle. Google books has a PDF version you can download of the Spool Knitting book. Last year for Christmas, I received my grandmother's knitting box. Included in it was one of these spool knitters. It inspired me to learn how to use it. Hi Linda. If you look at the part of the article where it says "How to Spool Knit Tutorials" you will find some spool projects/patterns. My Dad made me one of these when I was a kid, out of a wooden cotton bobbin with 4 nails knocked into the top. I used to have great fun making the thread get longer and longer with all different colours of wool. I since also inherited a knitting Nancy, of the painted doll type from my Grandmother. Really nice and thorough spool knitting hub. Hopefully this will introduce more people to this fun and easy craft. I remember making miles and miles and this when I was little. Your article is quite helpful and well written. Thank you so much! I'm an avid knitter and didn't know about spool knitting, though I have seen the Susan Bates and Knitty Knoddy plastic models of different names. 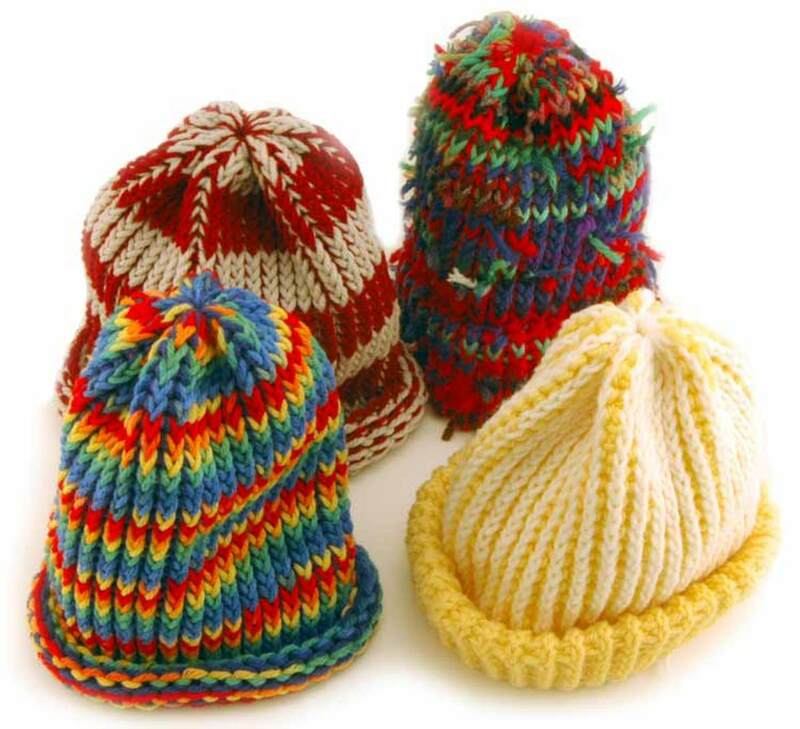 I-cords are great embellishments on knitted items and most knitters make them using double pointed needles. Elizabeth Zimmerman, knitting guru and fantastic woman, termed them "Idiot Cords" because of how easy they are to knit. With one double pointed needle, you cast two stitches or more, depending on how big around you want your cord. 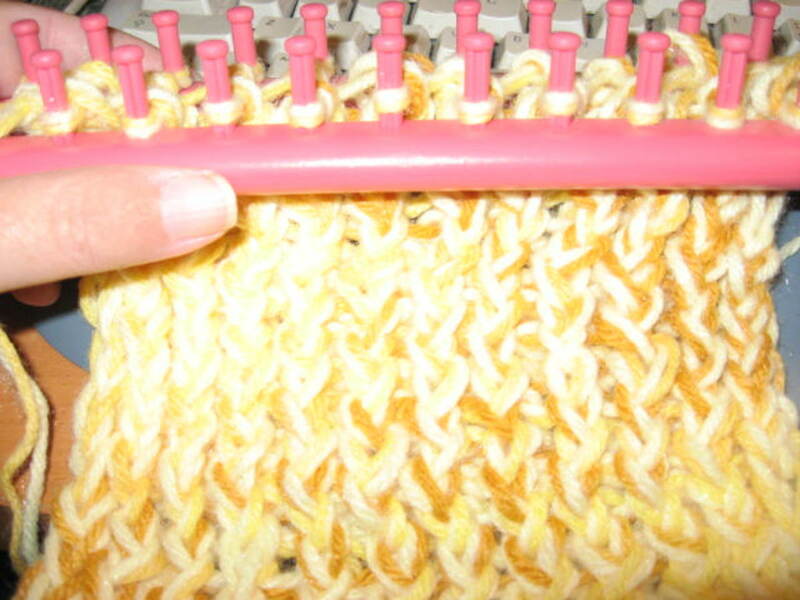 Then you push them to the other end of the needle, switch hands, and with another needle, knit those stitches. Repeat. Rather than turn work, as is custom, you are stretching the yarn behind knit stitches and knitting again, creating a tight tube. Quite fun when you want knit and not think and then use it as a drawstring. I-cord edgings are also nice but more fiddly with three needles. Still easily done with the right instruction and lovely on knitted garments. I thought that this was a lost art. I am glad to see it is still around. I did it as a kid and my kids did it to. It gave them hours of fun and keep them entertained when weather was bad and they could not go out. A fun hub thanks for reminding people about the simple things in life. It is fun. Getting creative ideas for children. Thanks! This brings back so many memories. I have to find one of these spools. Interesting hub. Hey, Traqqer, I hope your kids will like the knitting spools if you get any. I love the ones that look like dolls. Also, if you have older kids (tweens or teens) they might like one of the spool kits that are for making jewelry better. Or they might like knitting looms instead. Honestly, I don't find much interest in this for myself, but I think you've sold me on it as a great gift for my kids. I'm always trying to find something new for their birthdays or for Christmas. Thanks for the suggestion! 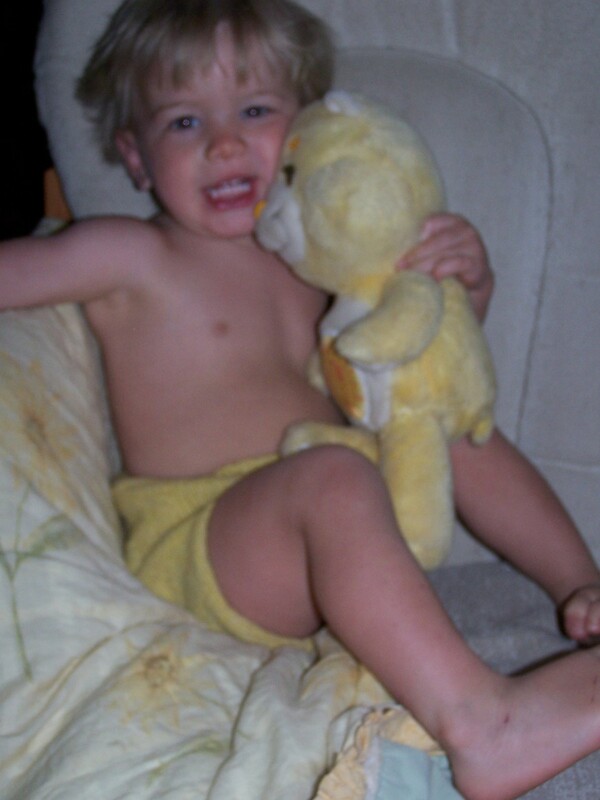 I remember doing this when I was a child! I thought it was so much fun! I always thought it looked nicer with the multi-color yarn. I think I made some coasters and a small rug. Can wait to check out the book. Thanks! Thank you Marian for posting here. And I really appreciate your sharing more information about spool knitting. It's good to know about the Yahoo group. This is Marian of the Spoolknitter blog. Thoroughly enjoyed reading your post on spoolknitters and spool knitting. I also manage the Flickr group Spool Knitting and I thankyou for mentioning both the blog and Flickr. Did you know that there is also a Yahoo Group called Spoolknitter (I am currently the moderator for the group after taking over from the group Mom - Noreen Crone-Findlay - at her request - Noreen has written books on lots of different yarn crafts). We have competitions and prizes and lots of ideas, newsletters, links, a photo library of books to be found, and lots of information about everything to do with spool knitters and spool knitting. We welcome new members! May I add something here about the I-cord. I have always hated this term (idiot-cord) and had actually thought that the term was only introduced recently along with the popularity of knitting in the past 10 years or so. I was wrong - it has been around a lot longer than that. I have recently purchased a book by Diana Blake Gray - Knitted Rag Rugs for the Craftsman. This particular author mentions learning to spool knit on her Grandmother's knee and her Grandmother called the cord - idiot cord! The author has three decades of experience in making rag rugs so the term of I-cord goes back further than I first thought. I am also an Aussie which might also explain why I had not heard it till recently. Oh! I see how that's done now - don't really need to use the spool, but it is fun to "spool" and not use needles. I just remember in third grade all of us little girls carried around plastic bags (or fabric ones) with our yarn and spools and sat on the playground in the sun making all this cord - we must have been awfully cute! I came across the term I-cord in a book just yesterday and didn't know what it meant - thanks for this hub which gives me some ideas. We used to make this when I was a little girl with wooden thread spools and nails and then sew the cords in spirals for coasters and pot holders and trivets. I had forgotten, now I want to try again. Something great to do while watching tv!